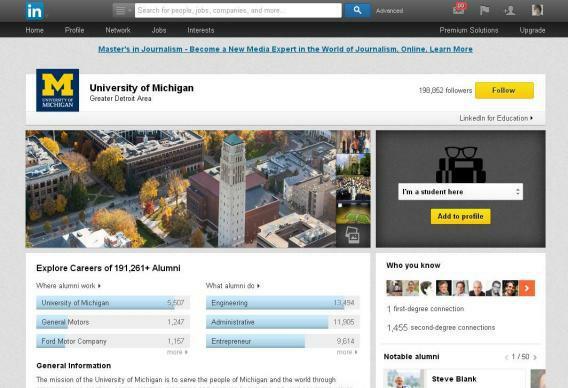 LinkedIn University Pages: Teens can now use LinkedIn, probably won't. Nothing says “I’ve resigned myself to all the dreary bits of adulthood; never again will I gurgle with childish joy at some delightful sight in nature; there is no such thing as magic” quite as clearly as the decision to make oneself a LinkedIn. What’s scarier than a 14-year-old girl choosing her sexiest Facebook profile pic? Maybe a 14-year-old girl inflating her résumé on her new LinkedIn profile. Childhood used to be a time of self-exploration, but the Internet is pushing kids to define themselves early and put that facade on display. 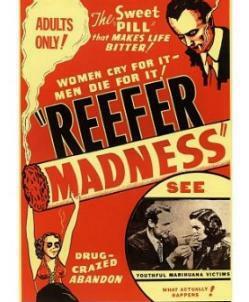 These writers seem to have in mind a sort of reverse Reefer Madness in which the lure of the demon drug LinkedIn leads kids away from lives of carefree hedonism in a self-destructive quest for future employability. But of course it isn’t LinkedIn or any other social network that’s pressuring kids to dabble in internships, student clubs, and the other pre-professional gateway drugs that Constine is so concerned about. It’s the college admissions process itself, which, if memory serves, already requires you to build a resumé. In any case, the assumption that the nation’s ninth-graders are going to drop their Snapchats and Keeks and flock to LinkedIn to compare educational bona fides strikes me as possibly a slight misreading of the average ninth-grade psyche. More likely, 14-year-olds will find LinkedIn at least as boring as the rest of us already do.